Well a long time has passed since my first day at Brewdog, ok 2 days have passed but I do feel like part of the team already. I never thought I'd hear myself saying this but I am loving the grind of being a 'brewer'. I say 'brewer' and not brewer because I am infact still being shown the ropes and probably would make a large batch of toxic, sour cat piss if left to my own devices. There is a very strange sense of reward that comes with making beer. Im sure this is something only micro-brewers and home brewers will understand. Even although I havent tasted any of the beer that I have actually made yet there is still something rather rewarding about making beer that you know is going to make people happy. People will use this social lubricant you have made to do all manner of things; hopefully the main one being having a good time. I must say that TM 10 is the most un-Brewdog beer that I have tasted made by Brewdog. Not that this is either a good or a bad thing but rather it is a step away from heavy hops or barrel aging and its a little more restrained. 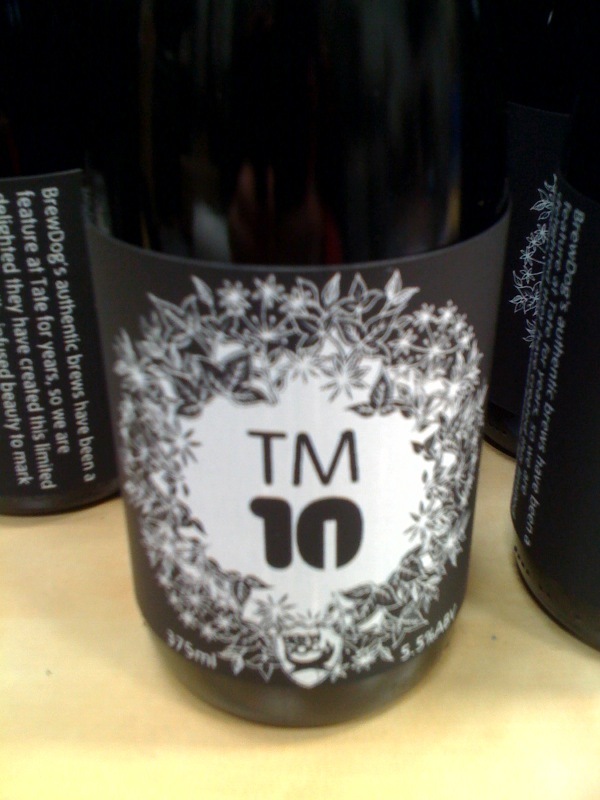 TM 10 plays itself very well though, it may be restained but I think it is a very elegant beer. Delicately spicy and quite polite but most of all VERY well balanced. I think Brewdog have hit the nail on the head here by producing a beer that will go down well with loyal fans but also wont scare the pants of any Brewdog virgins at the Tates birthday weekend. In other news 12hr shifts make you tired and I want to go to sleep soon. More Brewdog news soon, off for a Punk and an episode of Oz and James!